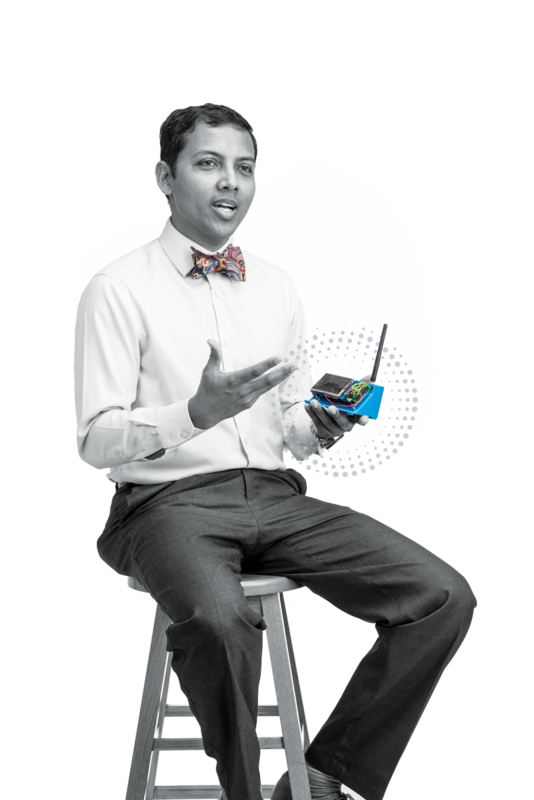 University of Florida researcher Prabir Barooah has a message for office workers: You don’t have to freeze to death. Not only that, but keeping you comfortable could save energy. More than 95 percent of the lifecycle cost of a commercial building is salaries, Barooah says. Improving comfort — and therefore productivity — by even 1 percent can represent a huge financial return. Barooah says buildings and their HVAC systems — heating, ventilation and air conditioning — can be smarter. In most buildings, the HVAC systems are designed for peak conditions to account for the hottest day the building could encounter, midday in August, for example. Day to day, however, peak power is not needed. Barooah found out how much small measures can save in a test in Pugh Hall on campus. He and his students outfitted the building with 50 sensors that could detect whether an office was occupied or vacant. Based on that one variable, the HVAC system adjusted the airflow. A one-week study showed a 40 percent drop in the building’s energy use. 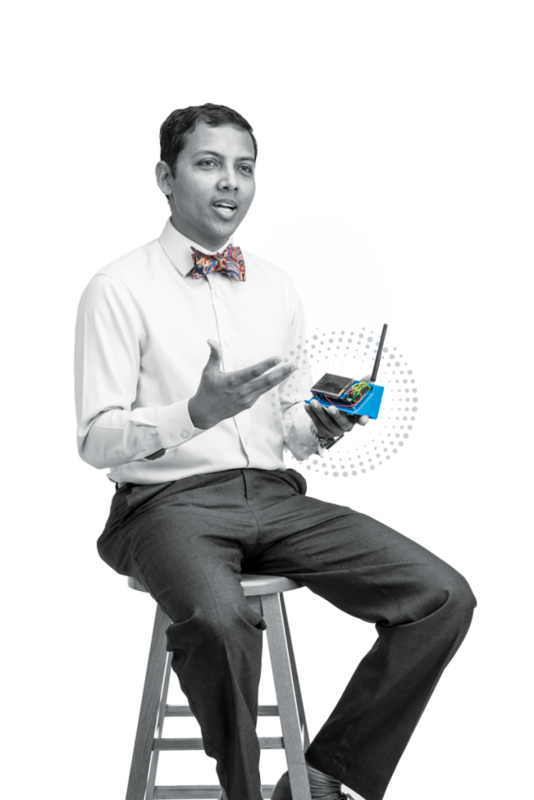 Next, Barooah plans to outfit UF’s new Innovation Hub building with a more sophisticated sensor called a personal comfort node, or PCN. The PCNs have a touch screen and a bar that slides left and right on a scale from minus 10 to plus 10, to indicate whether a person at a work station is too hot or too cold. The middle is just right. In the background, the sensors also measure humidity, temperature, carbon dioxide level, volatile organic compounds and lighting. The sensors provide feedback to the system, and by the end of the year, Barooah predicts, the algorithms that allow the system to respond to the information will be ready, making it possible for the HVAC system to change settings to make each person comfortable. Comfort also translates into energy savings. Figuring out how to manage variations in energy use also is key to integrating renewable energy into the power grid. The power grid requires a supply of energy that is balanced, without extreme highs or lows, which can cause a power outage. The intermittent nature of renewables, solar power for instance, causes problems for balancing power supply. One answer would be to use batteries, storing energy until it is needed. But batteries are costly. Barooah says the need for batteries can be reduced by embracing the flexibility of power consumption across many systems, especially HVAC systems. Once an HVAC system’s algorithms learn how buildings — or groups of buildings such as campuses or cities — use power, it can distribute power with minimal disruption. Millions of buildings together can provide great flexibility for the power grid. And with renewable energy integrated, such a system would not have to operate at peak efficiency. Older buildings are constructed with ventilation systems that provide a constant air volume, or CAV. Newer buildings have VAV, variable air volume, and each damper has its own IP address, standing by. All it needs is a command.